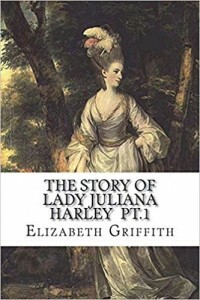 1720 - Elizabeth Griffith (sometimes spelled Griffiths), Welsh-born Irish dramatist, fiction writer, essayist, and actress, best known for her 1775 edition of Shakespeare's comedies. 1854 - Adela Zamudio (full name Paz Juana Plácida Adela Rafaela Zamudio Ribero), Bolivian poet, feminist, and educator who sometimes used the pen name Soledad. Considered the most famous Bolivian poet, she also founded the country's feminist movement. 1876 - Gertrud von Le Fort (full name Gertrud Auguste Lina Elsbeth Mathilde Petrea Freiin von Le Fort), German Baroness and writer of novels, poems, and essays. 1885 - François Mauriac, Nobel Prize-winning French novelist, critic, poet, playwright, and journalist known for "the deep spiritual insight and the artistic intensity with which he has in his novels penetrated the drama of human life." 1922 - G.C. Edmondson (full name "José Mario Garry Ordoñez Edmondson y Cotton"), under-appreciated Mexican-born science-fiction author who also wrote westerns; he also published under several pseudonyms, including Kelly P. Gast, J. B. Masterson, and Jack Logan; he spoke six languages and also worked as a translator. 1925 - Elmore Leonard, American novelist, short-story writer, and screenwriter who started out writing westerns but is better known for his bestselling thrillers; many of his novels have been made into movies. 1926 - Thích Nhất Hạnh, Vietnamese Buddhist monk, teacher, author, poet, and peace activist who lived for many years as an exile in France. 1929 - Russell Freedman, Newbery Medal-winning American children's author and biographer, reporter, and editor. 1932 - Saul Friedländer, Pulitzer Prize-winning Israeli/American historian, nonfiction author, and professor. 1935 - Daniel Quinn, American novelist, fabulist, cultural critic, and publisher of education texts; he is known for his environmentalist slant but was critical of the mainstream environmentalist movement and referred to his philosophy instead as "new tribalism". 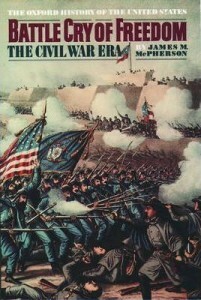 1936 - James M. McPherson, Pulitzer Prize-winning American Civil War historian known for his seminal nonfiction book on the Civil War, Battle Cry of Freedom. 1954 - Vojislav Šešelj, (Serbian Cyrillic: Војислав Шешељ), Serbian writer, politician, and lawyer who founded the Serbian Radical Party. 1962 - Anne Enright, Irish author who wrote novels, nonfiction, short stories, and essays; her novel The Gathering won the Man Booker Prize. 1962 - Richard Paul Evans, American author known for his bestselling novel The Christmas Box, originally self-published when it failed to attract a publisher; after it became wildly popular, Simon & Schuster gave him a contract for the book, paying him a $4.2 million advance.